Last weekend there were some awesome football games! We stayed up late watching them and they were totally worth it. All of these playoff games are leading up to the Big Game. While I love to watch football I love to eat football food even more. My idea of good football snacks is always something sweet, something salty, and a good dip. 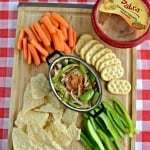 Since I’m a huge Sabra Hummus fan, I decided to take a container of their original hummus and put my own spin on it for the ultimate Game Day dip. 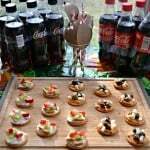 Whenever you think of football snacks what flavor do you think of more then anything else? I think about buffalo wings. Nothing says Game Day quite like delicious buffalo wings. 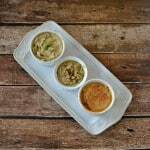 I wanted to take all the flavors from buffalo wings and make them into a tasty dip. I took the Sabra Original Hummus and added some minced garlic and buffalo sauce. Then I put it in a bowl and topped it off with crumbled blue cheese. Just the smell of it was making my mouth water! While I love hummus with vegetables I also enjoy it with a variety of chips. In this case I wanted to make some easy homemade tortilla chips. It’s easy to make them with some soft tortillas, cooking spray, and spices. I made a delicious garlic tortilla chip and a delicious za’atar tortilla chip. 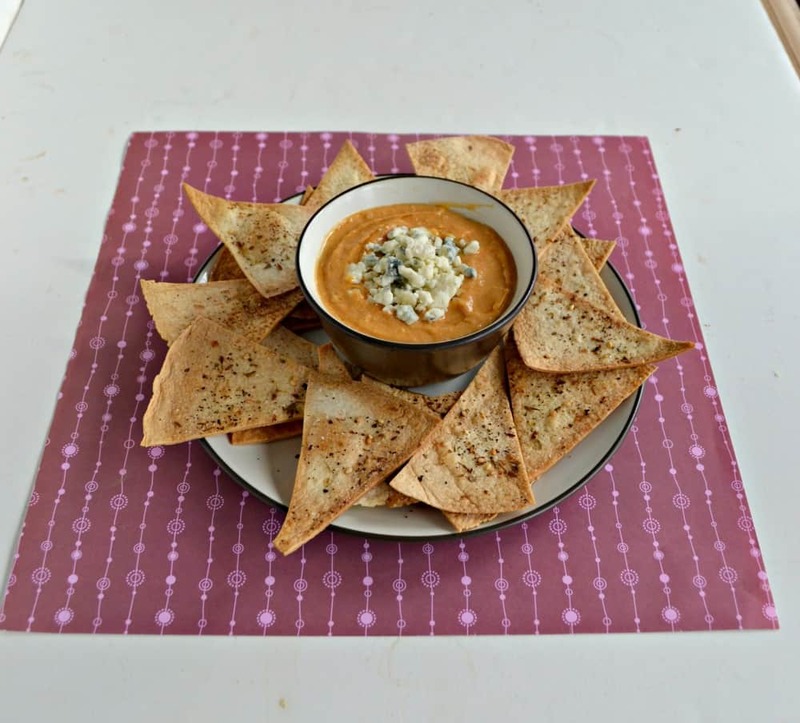 They only take about 10 minutes to make and they are awesome in this buffalo hummus dip. It’s almost like a combination of pita chip and tortilla chip which is love at first dip. 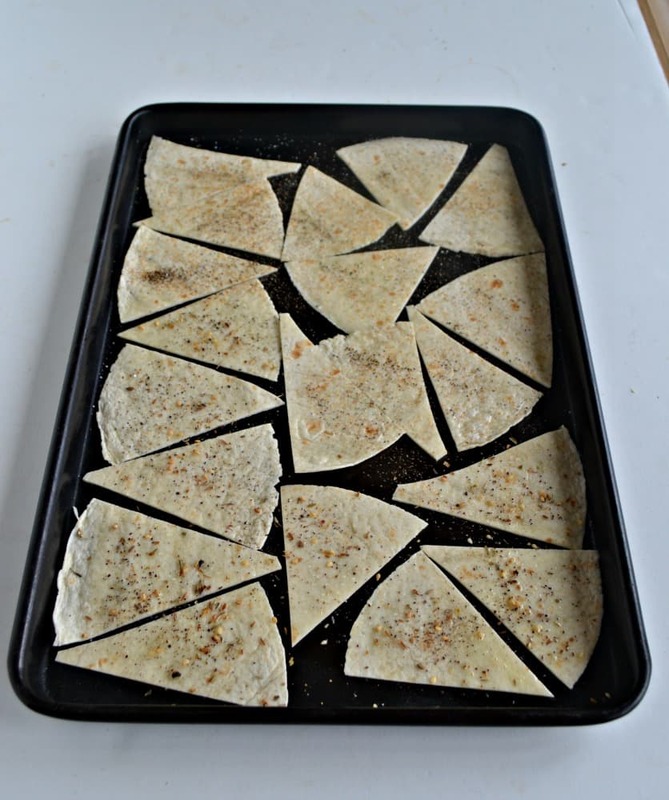 Don’t have time to make your own tortilla chips? No worries! With Sabra’s Buy, Snap, Score promotion you can score a $5 gift card when you buy Sabra products with Stacy’s Pita Chips! Simply buy the hummus and pita chips together and then enter your receipt at the Dip Zone. 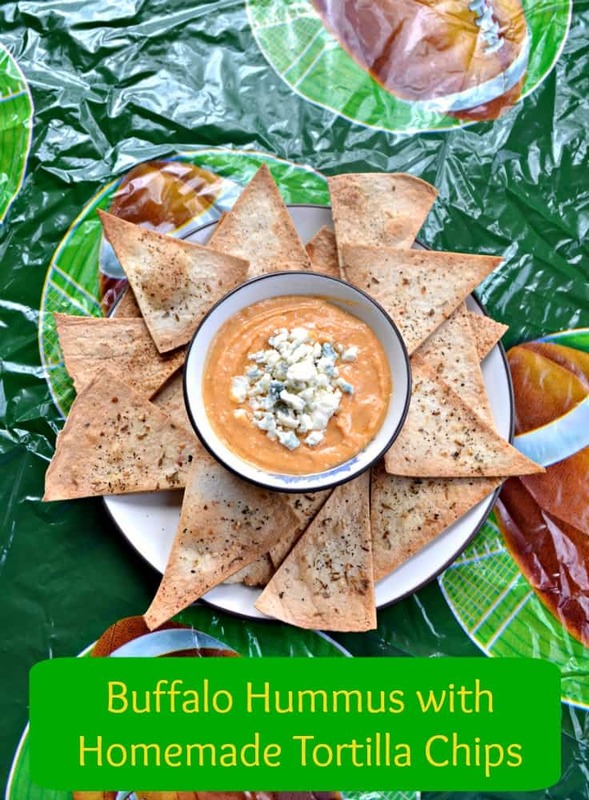 Then mix up some of this delicious Buffalo Hummus and get dipping during Game Day! 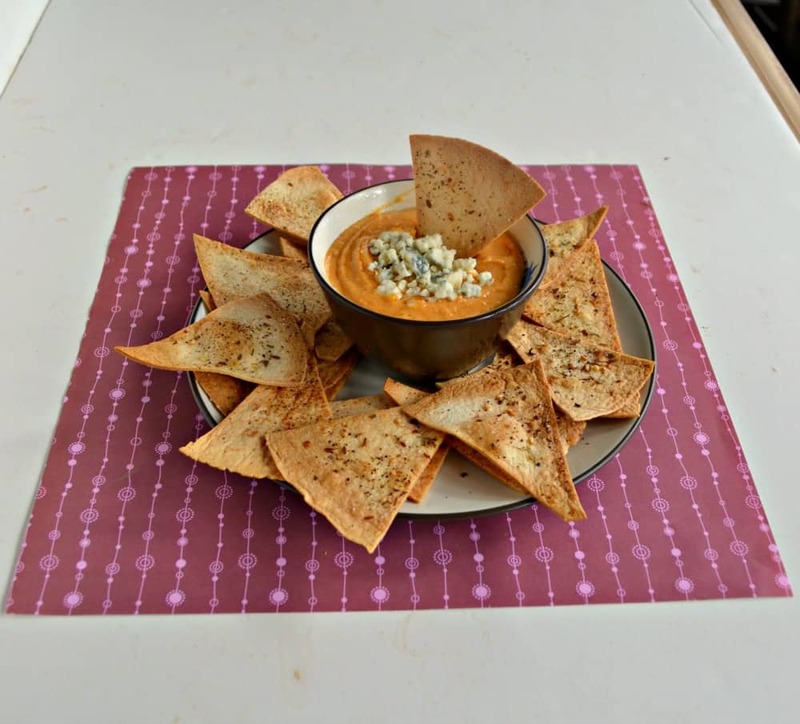 Turn your Sabra original hummus into Buffalo Hummus with Homemade Tortilla Chips! It's the perfect snack to enjoy while watching the football games. In a medium bowl combine the hummus, garlic, and buffalo sauce. Mix well until combed. 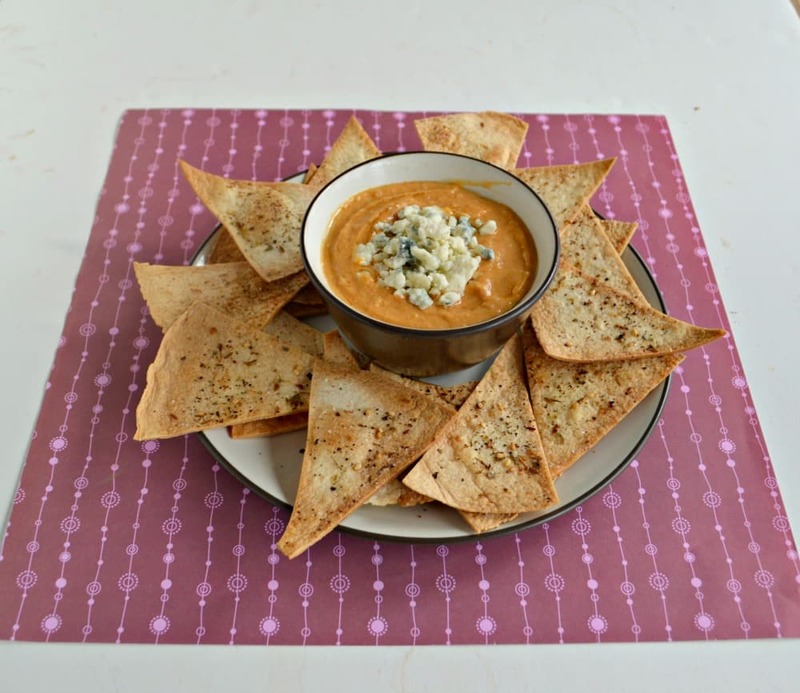 Pour the hummus into a serving bowl and then pile the blue cheese in the center of the dip. Refrigerate until ready to serve. To make the tortilla chips preheat the oven to 375 degrees. Using a pizza cutter, cut the tortillas into 8 equal pieces. Spray 2 baking sheets with cooking spray and divide the tortilla chip between the two sheets. Spray the tops with cooking spray and sprinkle with salt and pepper. Sprinkle one tray of chips with garlic powder and the other tray with za'ataar. Bake the chips for 5-10 minutes, checking every few minutes, until they are golden brown. Remove the tortilla chips from the oven and allow to cool for 2 minutes. Remove the chips from the baking sheets and pile around the buffalo hummus. Enjoy! I enjoy my Sabra hummus with vegetables or tortilla chips. 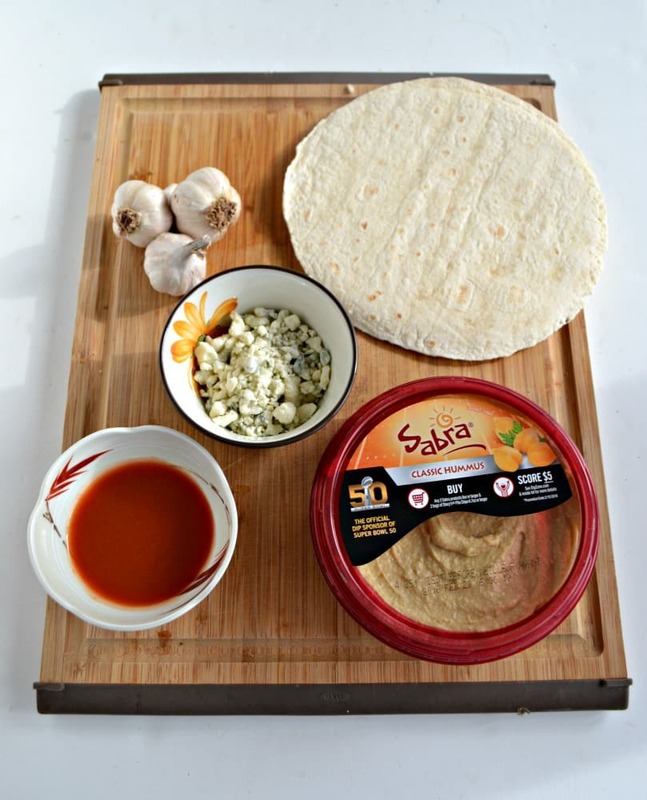 What do you like to dip in your Sabra hummus?? This post is sponsored by Sabra but all opinions are 100% my own. 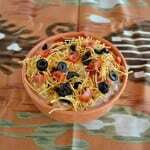 Looks so delicious and love how easy it is to prepare! Oh, sounds great! I love homemade chips too, but that gift card is a great incentive to try Stacy’s Pita chips. My team got pushed out this past weekend. So sad.